As of now, NASA depends on Russia’s space agency Roscosmos to take its astronauts to the ISS ever since its Space Shuttle program ended in 2011. The current contract with Russia’s space agency will expire in November 2019 and what is why, NASA decided to build its own spaceflight launch system with crew module for which, it contracted two bigwigs such as SpaceX and Boeing to engineer and manufacture a spaceflight system and crew transportation facility by 2019. But a recent audit conducted by GAO suggests that both the contractors might not be able to meet the target date. Back in 2014, NASA contracted SpaceX and Boeing to manufacture safe and reliable crew transportation system but as per the latest audit made by Government Accountability Office(GAO), both the contractors might not be able to meet the deadline set in 2019 because of delays in the certification for the reliability of the crew capsule. As a result, there may be a gap of at least a year in US’ access to the International Space Station in case if the Commercial Crew Program faces any additional delays. Further, NASA doesn’t have any contingency plan that could help the space agency ensure an uninterrupted access to the ISS beyond 2019 after the contract with Soyuz spacecraft ends. GAO estimated that the either of the contractors would get ready for manned flights to the ISS before August 2020 which indeed bores a nine-month gap in access to the ISS. NASA is currently in contract with Soyuz spacecraft to ferry its astronauts to the ISS and the contract will expire by November 2019 as aforementioned. The thing with obtaining additional Soyuz seats which is one of the options that the United States could take might take even longer. To elaborate the procedure, it usually takes around three years for Russian space agency to manufacture a spacecraft and contract it other space agencies which mean, even if NASA choose the option to get additional seats on a Soyuz spacecraft, it will not be possible before 2021. The price of ferrying a single NASA astronaut is estimated around $80 million which is a huge deal. 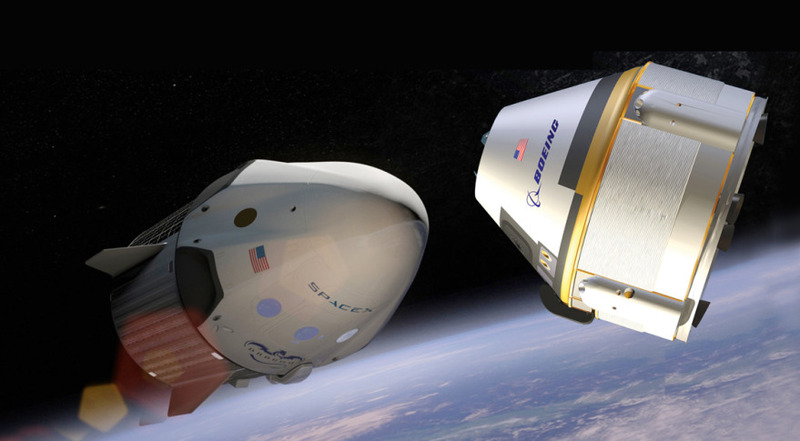 Boeing is presently developing its manned capsule caller Starliner which originally had a target date of January 2019 but a recent audit by GAO suggests that it would be delayed to December 2019 until the crew capsule is certified for the launch. On the other hand, SpaceX’ Dragon capsule which is under its testing phase is expected to get its certification only after January 2020 as opposed to the original target date of February 2019. Astronauts spend around six months or so on the International Space Station before hitching on a Soyuz crew capsule after their tenure at the ISS comes to an end. As of now, there are two Russians, one German, and three Americans on the space station.